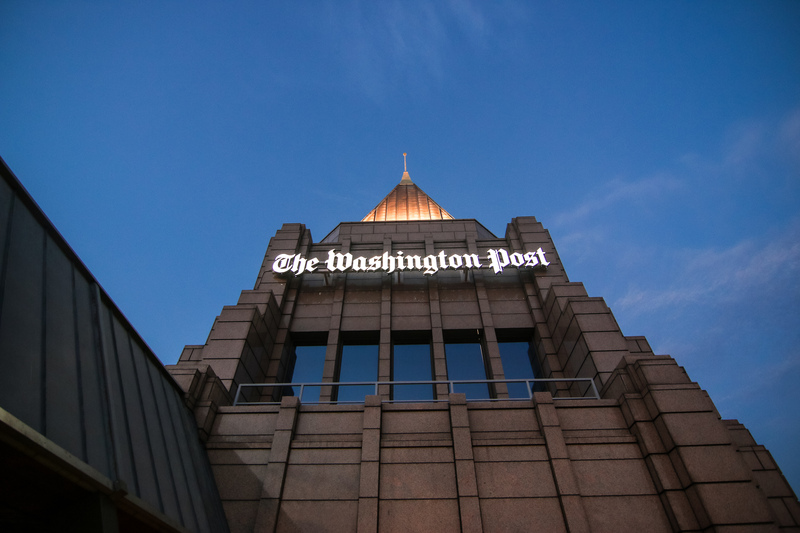 The Washington Post announced Saturday it will premier an ad during Sunday’s Super Bowl LIII extolling the importance of journalism to a healthy democracy. The 60-second ad comes as hundreds of journalists are losing their jobs amid mass media layoffs. “While most Super Bowl ad producers have the better part of a year, we had the lesser part of a week, but with an event this big, we decided to seize the opportunity,” Fred Ryan, publisher and CEO of WaPo, noted in a press statement. CBS is charging $5.25 million for a 30-second ad, CNBC reported. WaPo would not comment on how much the company was spending on its commercial slot. The ad, which will feature actor Tom Hanks as the narrator, is expected to showcase murdered and missing journalists around the world. The campaign comes after WaPo contributor Jamal Khashoggi was assassinated in October 2018 at the Saudi consulate in Istanbul. BuzzFeed, Yahoo! and other major outlets, for instance, cut loose more than 1,000 jobs Wednesday in what analysts say is a broadside against journalists. There is also concern Facebook is indirectly responsible for the massacre. Verizon Media, which owns Yahoo! and the Huffington Post, is slashing roughly 800 jobs, or 7 percent, of its global workforce across the organization. BuzzFeed is also expected to cut 15 percent of its workforce, including jobs in journalism. Other media outlets followed suit. Vice cut roughly 250 jobs from its payroll Friday, which are expected to have a sizable impact on Vice’s 2,500-person staff. The move was designed to focus on profitable areas like film and television production. Concerns about Facebook’s effect on the industry comes less than a year after the company decided in 2018 to de-emphasize news on the platform. Outlets worried the change in algorithm would wipe out digital journalism and cause several digital companies to pare down.